Simi Valley, Calif. (Nov. 1, 2016) – IZIP electric bikes has officially launched the E3 Protour, a super commuter that features COBI, the world’s first connected biking system that utilizes the rider’s smart phone as an advanced display and control system. Aimed at the discerning consumer who wants style and speed, the e-bike houses the same level of integration seen in a car and is poised to change the way we ride. The E3 Protour is equipped with COBI which, through a free app, uses the rider’s smartphone and a handlebar mounted dock to aggregate a wide range of connectivity and cycling-specific features into a single Bluetooth powered, hands-free system. COBI will give the user the ability to make and take phone calls, get turn-by-turn directions, listen to playlists, and activate anti-theft security, as well as allowing seamless access to the e-bike’s drive system for control of the motor output and battery life. It’s a natural fit for the e-bike market as it gives users unprecedented control over their rides. The E3 Protour uses a Currie Electro-Drive/TranzX M25 motor that has best-in-class power with a 500W center drive motor that goes up to 28MPH. Thanks to a 417 watt hour battery, it has a range up to 35 miles. 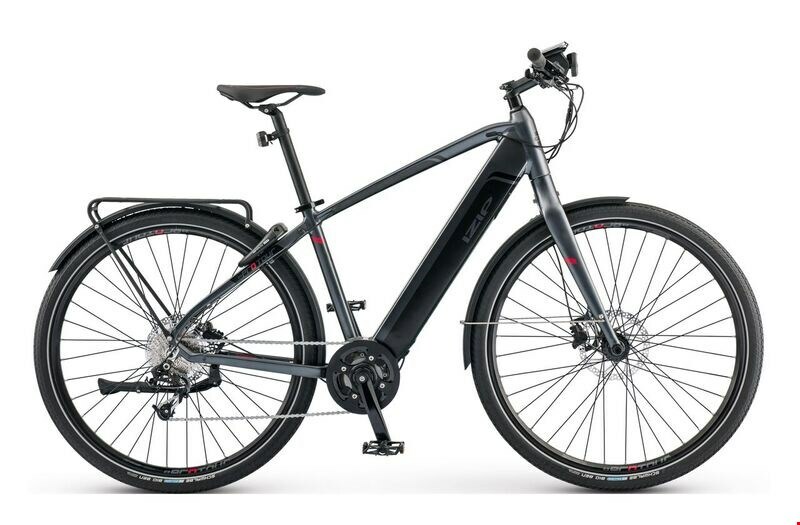 Other highlights include an integrated downtube battery and centerdrive motor for the highest level of integration. MSRP of the IZIP E3 Protour is $3,299.99. More information can be found at http://www.izipusa.com/electric-bikes-pavement-e3-protour. No matter how you ride, IZIP has a fun, fast, and efficient eBike for you. From commuters, cruisers, and cargo bikes to full-suspension, trail, and touring models, IZIP covers every riding option for leisure, trails, and pavement. With over 10 years of experience in the eBike industry, IZIP is now a veteran and a leader in eBike technology in the USA. A division of Raleigh Electric, IZIP eBikes is supported by a network of authorized dealers and backed by the Electric Bike Competence Center of North America. Learn about all the models from IZIP eBikes at www.izipusa.com.